Factory Sealed Pack of 16 player cards and 1 Magic Motion Trivia card. Produced in 1990 by Score. 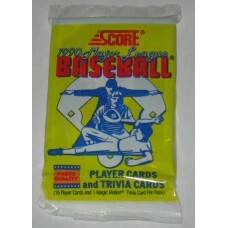 Do you have any questions about Factory Sealed Unopened Pack 1990 Score Baseball Trading Cards?